At The O’Neill Plastic Surgery office in Charleston, SC, you can get laser skin rejuvenation by three different methods: PicoSure, Smartskin+, and IPL Treatment. The PicoSure laser is a recent addition to the office and we are already seeing great results! It was originally made to remove tattoos, but cosmetic surgeons have also been using it for skin rejuvenation; wrinkle reduction, brown/age spot removal, acne scar reduction and more. SmartSkin+ reduces unwanted signs of aging, including wrinkles around your eyes and mouth. Just one laser treatment can diminish the deepest lines — without surgery, with minimal downtime, and with long-lasting results. IPL technology uses specific optimal wavelengths of light to target certain chromophores in the skin to improve the color of the skin, correct some sun damage, correct uneven skin pigment, and eliminate most unsightly facial vessels. The PicoSure Laser works by sending quick pulses of light to targeted areas of the skin. This light breaks apart pigment and signs cells to start producing new collagen. The laser uses pico-second pulses, the shortest pulse duration ever created in a laser device. Dr. O’Neill focuses pico-second pulses into micro spots on the skin for intensified energy and overall skin revitalization. 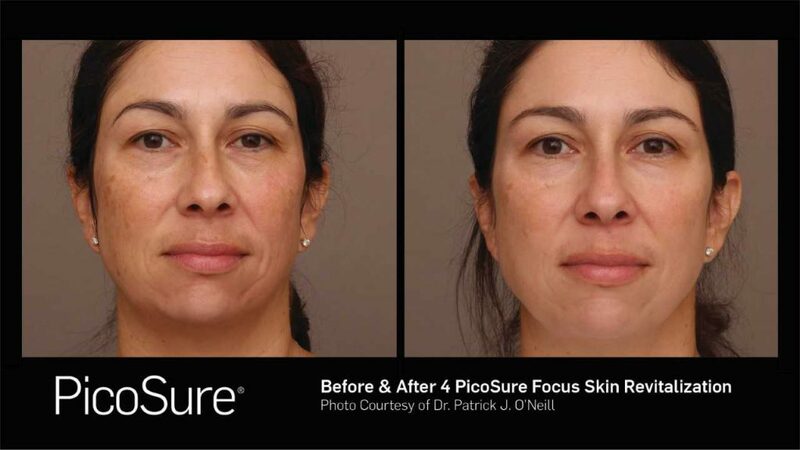 The PicoSure is so much more than just breaking down pigment, it helps your skin look and feel younger in a better way than traditional non-ablative, fractional laser treatments. Smartskin+ is the most advanced, customizable micro-ablative Laser Skin Resurfacing workstation available. Smartskin+ provides completely customizable treatment parameters to match your patients clinical needs and downtime requirements—unlike other systems that have ‘one-size-fits-all’ settings. IPL treatment sends different wavelengths of light to specific areas of the skin to restore a more youthful appearance and eliminate or reduce those problem spots. Treatments usually take less than thirty minutes and are minimally invasive. The Cynosure (formally Palomar Icon) IPL technology uses specific optimal wavelengths of light to target certain chromophores in the skin to improve the color of the skin, correct some sun damage, correct uneven skin pigment, and eliminate most unsightly facial vessels. Treatments are performed by our on-staff certified aesthetician or our fully trained Physician’s Assistant, Meg Biggers. With these treatments, you will be able to see effects on different parts of your body, and for different issues. Watch this extensive overview featuring board certified plastic surgeons Dr. Robert Weiss and Dr. David McDaniel, who are spearheading some of the nation’s efforts on nonsurgical skin rejuvenation, laser cosmetic surgery, anti-aging medicine, and more. Also included is a video of the actual skin resurfacing process with a female patient. 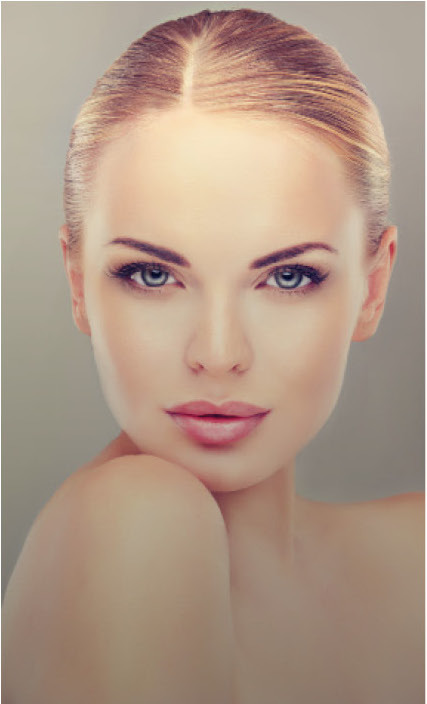 The actual skin revitalizing surgery involves a laser focused across the desired areas. Watch a patient go through the PicoSure surgery and see her end results! If you are interested in one of this breakthrough anti-aging, skin revitalization procedure available at O’Neill Plastic Surgery — don’t wait! Call us today to schedule your first PicoSure appointment to revitalize your skin. Call 843-881-2130 or contact us online to schedule a consultation and appointment.